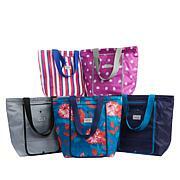 Forgo plastic bags once and for all with this 3-piece tote set. Their compact, foldable size can easily be stored in your purse or glove compartment so you'll never leave them behind again. 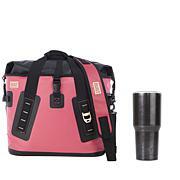 At the grocery store, on a picnic or camping, the insulated lining will help keep everything cool and mess free. I got a set for all the grocery shoppers on my Christmas list! They love them and whats more is the grocery clerks do too. They are sturdy and stand up easily as they are filled. We live 35 minutes from any grocery store and keeping things cool or frozen is important. These do the trick! Fun colors, too! 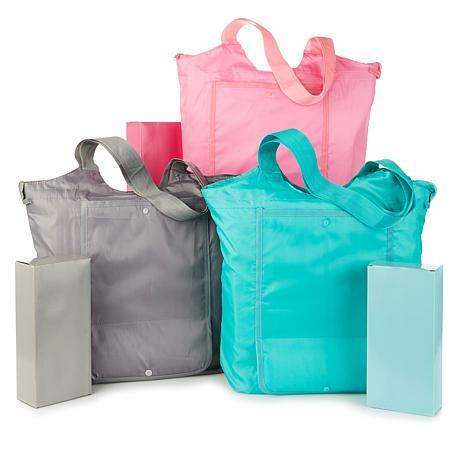 Thrilled with these bags, lightweight, easy care and durable. I bought 6 and have used them several times. Perfect for grocery shopping! Gave these as Christmas presents and they were loved by all. I was suprised how big and roomy they are. This zip and being able to fold up is a plus. Handles comfy and secure. Inside really DOES keep cold for a long time. Holds a lot but be careful. Don't get carried away filling it too full. If you find it's so full you're struggling to zip it shut STOP! 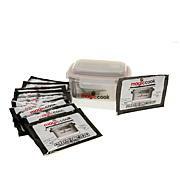 Take some out and then zip is easy. I didn't and the stitches at the zipper edge tore. Not fixable. Common sense. Lesson learned. Also, that snap is so teeny it's not useable. No sweat. I just roll it up per instructions provided. Then instead of snap I use a thick rubber band around it.